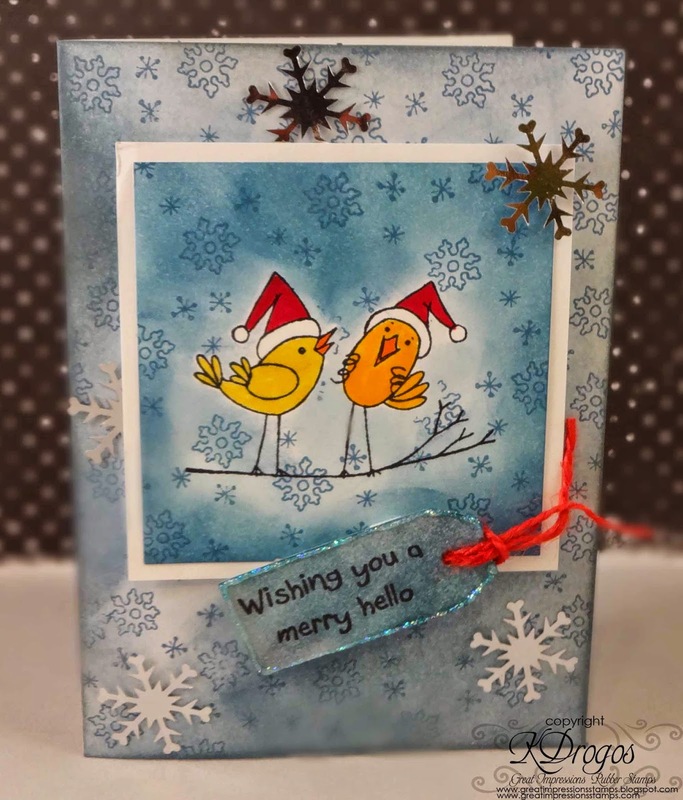 For this card I used these stamps: E815 Swinging Birds, A117 Merry Hello, and A71 Snowflake Cluster. I stamped the little snowflakes all around the base of the card and on the focal square. I did stamp the cute birdies twice. The second I cut out and used it has a mask. I had a little tag that the sentiment fit on perfectly. (Which I love this sweet sentiment!) And I used a glitter glue to outline the tag.